Getting in a car accident is a hassle enough, but when your auto insurer fights you over its claim payout, it can be just like getting injured all over again. As a consumer, you have every right to question your claim payout, but you to exercise both patience and resolve as you address this problem. 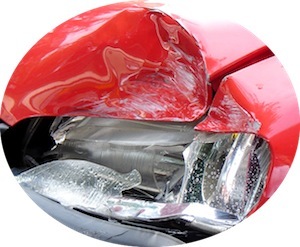 For a minor accident, you may find that it is simply not worth disputing with your car insurance company. For a major accident, fighting back may spell the difference between getting a new car or being stuck with the one you’re currently driving. 1. Review your insurance policy. Yes, car insurance people make mistakes. No, you’re not immune from making mistakes yourself. The first step is to review your policy to learn what is covered and what is not. You may not be aware that you have a $1,000 deductible instead of the usual $500 deductible, thus the lower claim payout check. Your insurer spells out the claims procedure, explaining how long it takes for claims to be made and how long you have to challenge the claim payout. 2. Contact a third party. Your insurer sends an in-house appraiser to review your car’s damages, thus that appraiser’s findings are usually final. But, not always. You may be allowed to use your own claim adjuster, an individual that works for you, to file his own claim amount. Your insurer will then review the findings from both adjusters and may give you more money based on the latter’s findings. 3. Mediate or arbitrate your claim payout. You can sue your insurance company in a bid to obtain a better claim out, but keep in mind that you will have to go to court. A court case can drag out, while mediation or arbitration can be handled swiftly. Moreover, you need not be present to handle this — your lawyer can do it for you. Mediation and arbitration keep you out of the court and can be resolved amicably between the two parties. On the other hand, a lawsuit may create a hostile atmosphere and take longer to resolve. Contact your attorney about your legal options. It isn’t your insurance company’s wish to drag out your insurance claim or claim payout request. Settling this matter outside of court is important too as your insurer must pay for legal representation. Document your dealings with your insurance company and, if you can prove that damage was substantially more than what the insurer says that it was, then offer copies of your findings to prove your viewpoint.